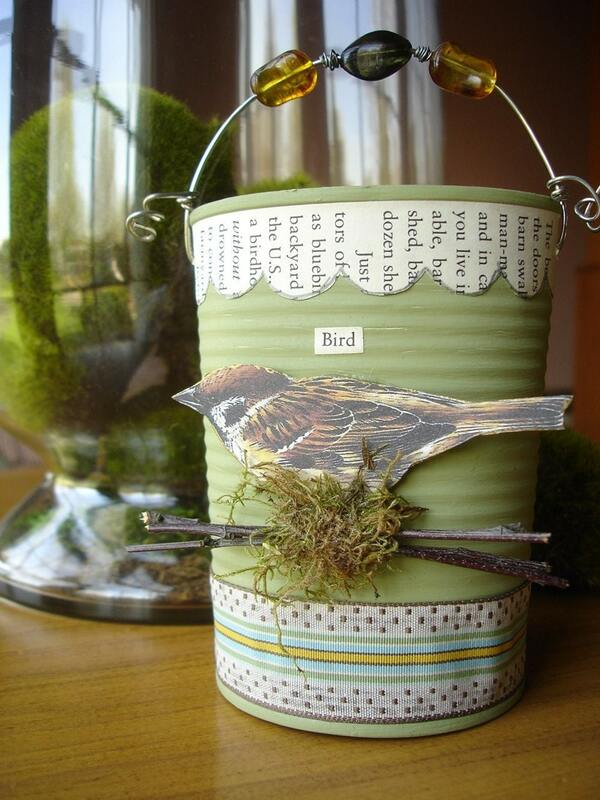 The Bird and Nest embellished tin can below was created by Faith Meadows' Designs and is part of what she terms her new "tin treasures" line of items. While this can was covered, painted, and embellished it's actual shape wasn't re ally altered. Then there are the tin tops. What to do with them once you've opened the can and cut them off? I toss them into the recycling with this reluctant "I should be able to do something with this...." feeling. They seem a little large for pendants (although I suppose I could use the tomato paste lids in that way). 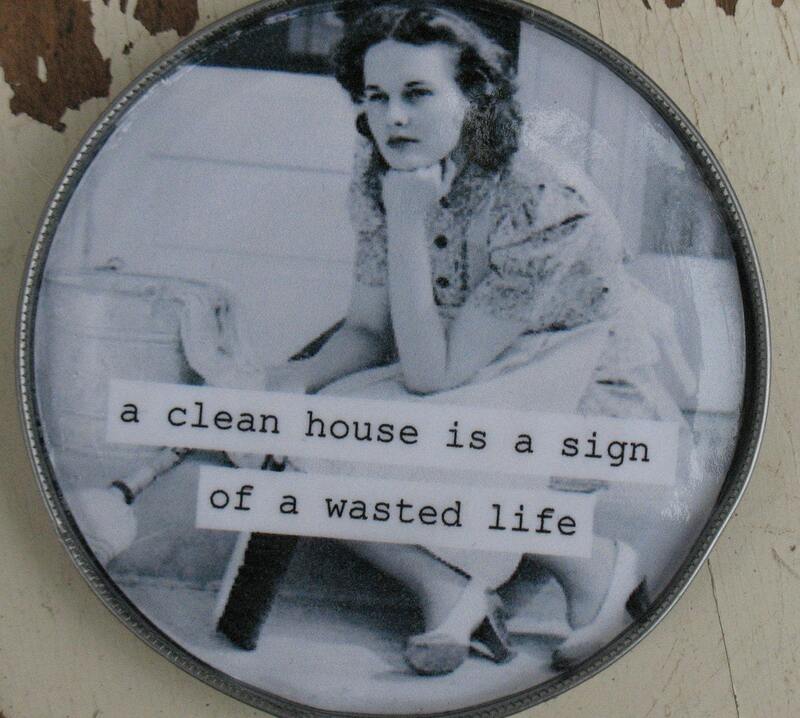 But I LOVE the solution picardcreative on Etsy came up with. She creates these outrageous, "sassy girl" MAGNETS out of them. How super clever is that?? So there's a few ideas to get both of our minds whirling... what would you do? 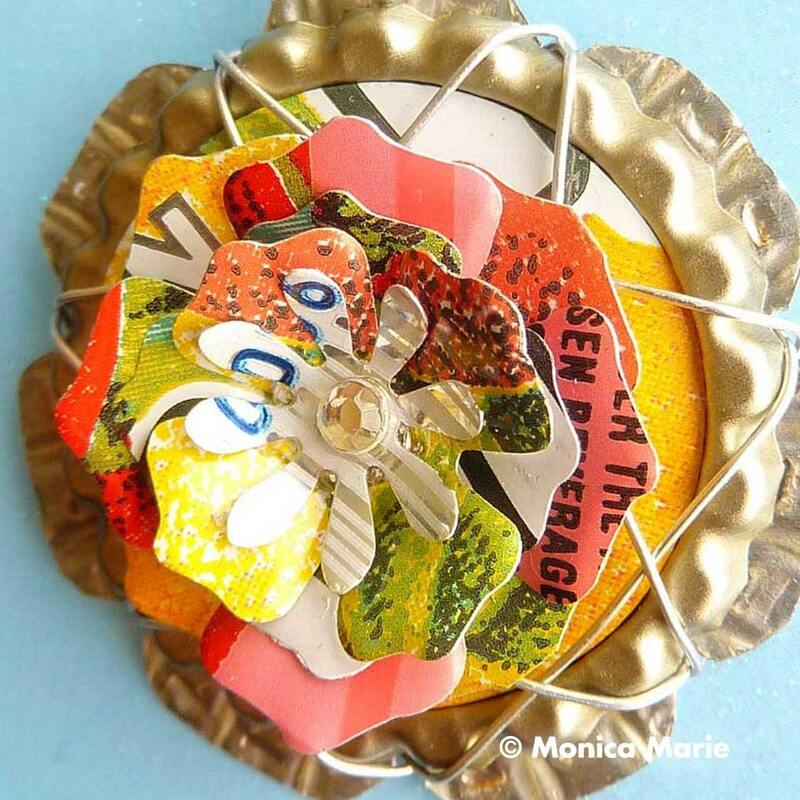 Would you create a curtain of tin can lids? Would you stack the cans, make little banks, or planters of them? Edit: I'm at my mom's and showed her the tin can from Faith Meadows and she loved it and bought it! Thanks Mom for supporting handmade!